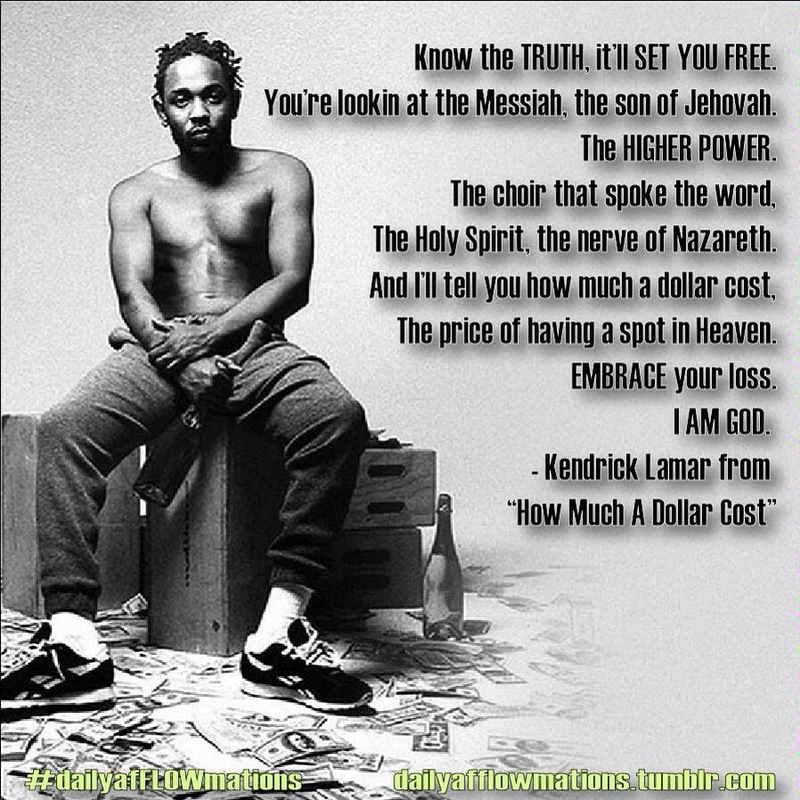 So I’ve been listening to “How Much a Dollar Cost” by Kendrick Lamar for over two weeks and my mind keeps going through states of images and seeing Reef the Lost Cauze with equal material. The understanding of what we see and do to one another for money and shun those without has a lot to say about us as humans. We spend so much time fighting to survive that the sight of the world becomes shark infested and we become blind to what we say and do because the story often takes moments back to it being about I but is it really….